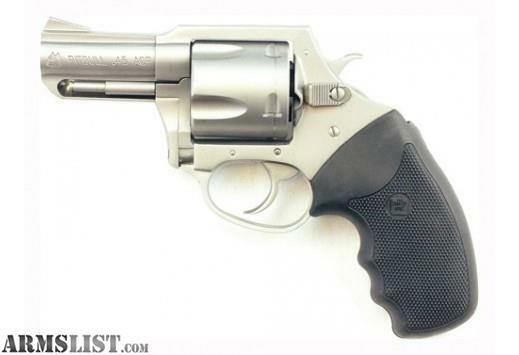 The Charter Arms Pitbull is a 5-shot 45ACP revolver that does not require the use of any type of moon clips to chamber the 45ACP rounds. A dual coil spring assembly located in the extractor allows insertion and retention of a 45ACP cartridge in each chamber of the revolver's cylinder. After firing, the shooter can easily eject the spent cartridges for immediate reloading. So long as the extractor is kept clean, it functions perfectly. Aluminum casings can occationally have difficulty being extracted on the first attempt. This gun is an unfired demo gun ,and shows some cylinder stop marks on the cylinder.